This Weekly Round Up is jam packed with a TON of useful info. Grab a cup of joe, a pen and paper, maybe your cell phone and prepare to be amazed. We have job opportunities, education opportunities, entrepreneurial opportunities, employment info, events and so much more! Please take a moment and share this post with your friends! First and foremost lets not forget its FRIDAY! R.E.D. Friday that is! Its R.E.D. Friday again, so break out those red shirts! R.E.D. Friday is here so remember everyone deployed! May is also National Military Appreciation Month. Head over to THIS site to learn more about events in your state. If you want to start an exciting new career and you have what we are looking for, then send your resume today! If you are looking for a career with a well established large company with offices throughout North America, Europe and Asia, the career opportunities here are endless. And, as a leading provider of outsourced communications solutions, opportunities exist in most career fields. Experience with frameworks such as Zend Framework, Prototype(JS), JQuery(JS). Experience with Version Control Systems (SVN, GIT). Experience in UNIX systems on a user level. Familiarity with Atlassian suite of products (Jira, Confluence). 6 month contract to hire. Senior VMware Systems Administrator in San Antonio, Texas. The selected candidate must have demonstrated experience designing, implementing, and managing a large VMware enterprise environment. A current VMware DCV and/or Cloud certification is required. Get Out and See the World! Be a Truck Driver! Get out and see the world. You could even be an independent contractor. Be a Truck Driver. You can get trained for FREE and start working immediately upon completion of training. It just does not get better than that for anyone wanting to be a driver. If you like to work outside and like constantly changing scenery then you will really want to look into this opportunity. We are currently looking for MILITARY VETERANS and TRANSITIONING MILITARY personnel who are interested in a ten week course to become a Catastrophic Claims Adjustor. The training for this position can be paid for using your military benefits for education. Upon completion of the course students will receive three certifications that will enable you to work as a Catastrophic Claims Adjustor and a Home Inspector. This is an exciting opportunity with income potential ranging from $60 to $120k annually. For MILITARY VETERANS, TRANSITIONING MILITARY, and Spouses of Veterans and Transitioning military, send us your resume and contact information. We have positions available for drivers/truck drivers. Do you want financial freedom? Are you into fitness and the exercise scene? Some military personnel who have transitioned out of the military have taken a fast-track training program at Fred Astaire Dance Studios. In just a few months (that’s right MONTHS) they have gone from knowing little-to-nothing about dance to being actual dance instructors. In a VERY short amount of time they moved up to managing, owning a franchise and now to being among the top producing studios in the company.What we have found at Forward March Inc. is that military personnel are especially suited not only for the training and becoming instructors themselves, but becoming highly successful in the company. Forward March Inc. has an outstanding relationship with our customer Fred Astarie Dance Studios. You owe it to yourself to check out our previous post to learn more about the outstanding opportunities for employment and even franchise ownership with them. NO EXPERIENCE NECESSARY We are looking for high-energy individuals who enjoy personal training and working in the fitness industry for positions in our company. This career includes paid travel and a schedule where most of your mornings are free. All of our training and certificates will be paid by the company. You can continue your career into management and ownership with franchise opportunities. These instructor/trainer positions can earn up to $75,000 per year. Do you have strong leadership and management skills and training? You will need to be able to lead small teams of 5 to 7 instructors/trainers on a daily schedule. You will also need to be able to present packages to clients and enroll them into our programs. Career advancement is available. You can also further your career through franchise opportunities. Income potential can be up to $100,000. Would you like to be your own boss? Are you looking for real opportunities that present long term careers and financial freedom? Come and join the ranks of those who work for themselves. Join this franchise system and start living your dream. This franchise started in 1947 and has been one of the top franchise systems in the country since. We will train you in how to run the day to day operations to how to become a multi unit owner and build your legacy. Learn about the great work Forward March Inc. is doing with Fred Astaire Dance Studios through Dancing With Our Heroes. To date we have worked together to raise over $300,000.00 for The Fisher House Foundation and the USO. 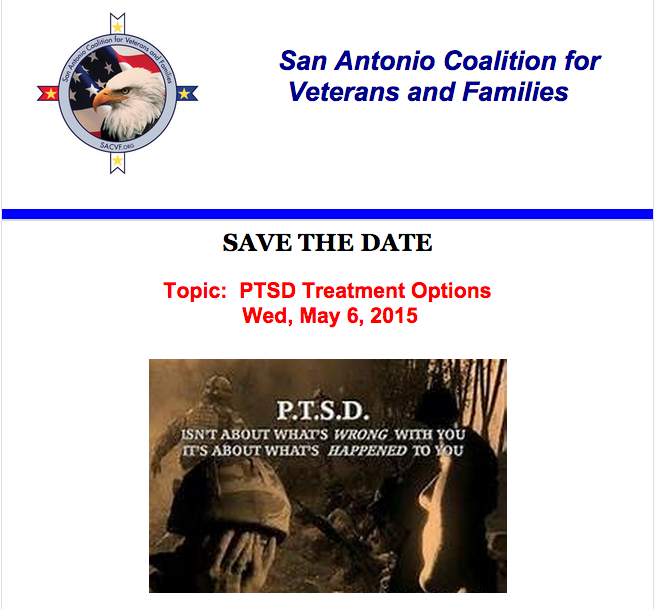 Join us at our next SACVF meeting to learn about different PTSD treatment methods from local experts. ANOTHER FUN UPCOMING VETERAN EVENT! Are you an IT professional in the military? Are you a veteran who is an IT professional? You will probably want to check out the latest post at MySA: Tech Industry to Train and Hire 90k Workers. We are currently looking for veterans, transitioning military personnel and spouses of veterans and transitioners who are interested in commercial Truck Driving. Some military personnel who have transitioned out of the military have taken a fast-track training program at Fred Astaire Dance Studios. In just a few months (that’s right MONTHS) they have gone from knowing little-to-nothing about dance to being actual dance instructors. In a VERY short amount of time they moved up to managing, owning a franchise and now to being among the top producing studios in the company. What we have found at Forward March Inc. is that military personnel are especially suited not only for the training and becoming instructors themselves, but becoming highly successful in the company. Forward March Inc. has an outstanding relationship with our customer Fred Astarie Dance Studios. You owe it to yourself to check out our previous post to learn more about the outstanding opportunities for employment and even franchise ownership with them. Looking for a great way to network and meet potential employers? Check out some of the job fairs coming to a city near you where dozens of potential employers are searching to recruit great military and veteran talent. Here is a List of More Than 40 Employers Looking For Veterans!!! The Exchange: The Army & Air Force Exchange Service. If you have been on a base/post/etc then no explanation needed. BNSF Railway: operates one of the largest freight railroad networks in North America, with 32500 miles of rail across the western two-thirds of the United States. CACI International Inc: Provides professional services and IT solutions needed to prevail in the areas of defense, intelligence, homeland security, and IT modernization and government transformation. Capstone Corporation: Customizes the delivery of services and solutions for military and civil operations, enterprise technical requirements and organization and mission support services. CenterPoint Energy: Operates in electric transmission and distribution, natural gas distribution, interstate natural gas pipelines, field services, and competitive natural gas sales and services. Chesapeake Energy Corporation: Focuses on discovering, acquiring and developing conventional and unconventional natural gas and oil fields onshore in the U.S.
Cintas: Designs, manufactures and implements corporate identity, uniform programs, and also provides promotional and first aid-safety materials to more than 800,000 businesses. Concurrent Technologies Corporation (CTC): Independent, nonprofit, applied scientific research and development professional services organization provides innovative management and technology-based solutions. CSX Transportation: Operates transportation network of about 21,000 route miles of track in 23 states, the District of Columbia and the Canadian provinces of Ontario and Quebec. http://www.csx.com — Also use 888 884 9417, a dedicated number for military. DaVita, Inc.: Delivers dialysis services in more than 1,500 outpatient clinics. Dollar General: The nation’s largest small-box discount retailer, with 9,200 stores in 35 states and nine distribution centers, representing 87,904 employees. G4S Secure Solutions (USA): Leading international security solutions group has more than 50,000 employees across the United States and Canada. Halfaker and Associates, LLC: Specializes in information technology, organization and strategy, intelligence and operations, and supply and logistics. Harley Davidson – Harley Davidson, manufacturing American motorcycles, sets the Gold Standard for military hiring. HEB – This Texas based supermarket chain is looking for military veteran talent for a variety of positions. Lockheed Martin – One of the nation’s largest defense contractors with an outstanding reputation for hiring military personnel. ManTech International Corporation: Provides technologies and solutions for mission-critical national security programs. Navy Federal Credit Union: Armed forces bank serves the Navy, Army, Marine Corps, Air Force, Veterans, and DOD. Northrop Grumman: Global security company provides innovative systems, products and solutions in aerospace, electronics, information systems, and technical services to government and commercial customers worldwide. Paychex, Inc.: provides outsourcing services payroll processing, retirement services, insurance, and human resources. Progressive Insurance Company: Auto insurance provider. Puget Sound Energy: A regulated utility, providing electric and natural gas service to thePuget Sound region. SAYtr: For officers or senior NCOs who have a background/interest in civil engineering, facilities management, Base Realignment and Closure (BRAC), Force Realignment and Beddown, and similar transitional leadership type work. Schlumberger: Oilfield services company supplying technology, information solutions and integrated project management that optimize reservoir performance for customers working in the oil and gas industry. Schneider National, Inc.: Specializes in truck driving jobs, and maintenance, warehouse, and office careers. Sears Holdings Corporation: The merger of Kmart and Sears has resulted in this company, which manages both stores. Southern Company: Electricity providers service both regulated and competitive markets across the southeastern United States. Sprint: High-profile wireline and wireless service provider. Tesoro – San Antonio based Tesoro Corporation, an energy company in the oil and gas market, is currently looking for military veterans for various openings. Transocean: Handles offshore drilling, from world water-depth and well-depth drilling records to facilitating revolutionary subsea completions. University of Phoenix: Provides local and long-distance education options. URS, Federal Services: Engineering, construction and technical services organization. USAA: Provider of insurance, investments, and banking products to members of the U.S. military and their families. Verizon Communications Inc.: Wireless communications, IP networks, and information and entertainment provider. Waste Management, Inc.: Partners with customers and communities to manage and reduce waste from collection to disposal while recovering valuable resources and creating clean, renewable energy. 85% of the national unemployment rate is made up of veterans with severe disabilities. The Paralyzed Veterans of America Vocational Rehabilitation program based out of San Antonio is making a huge impact by providing the right tools and services to those who were injured while wearing the uniform and match them with career positions in various businesses and organizations. Veterans who want to join the SBA and start down the track of entrepreneurship should check out the latest article on the San Antonio Business Journal site. The SBA is extending their fee waiver program for veterans through 2015! Veterans and transitioning military interested in starting their own business should also check out the San Antonio Small Business Development Center at UTSA. This program offers a number of benefits including special veterans assistance. What an Outstanding Week!!!! Hooah! You can do a search of this blog and find lots of resources for helping with resumes, networking, managing your communications and job interviewing. There is more on the HERE on our website. Networking is a powerful tool to help you get the job you want. Check out THIS site for a list of Veteran Owned Businesses in San Antonio. Not in San Antonio? No problem, less than five minutes on Google will help you find such lists in your area, or the areas you want to locate yourself to for employment. Veteran owned businesses are often apt to hire veterans and great places to make strong networking connections. If you are looking for companies looking to hire veterans here is another resource. We Hire Heroes. You can utilize resources like this in your job search but do read our posts on networking, working on your resume, etc. These posts will give you a roadmap to getting the kind of job you want, where you want it. Make sure you read the whole post, we have JOB POSTS for those of you looking for a new career. Looking for a military veteran who is a graphic artist that knows or is willing to learn autocad. Financial Group is interested in Active and Retired Government Employees across the country to become part of its team of Government Employee Benefit Specialists. Compliment your existing career through supplemental income by providing support and benefit services to individuals struggling to understand the complex nature of the government benefit structure. By partnering with our Financial Group’s expert benefit counselors, you will be equipped to review, diagnose, and resolve issues within the government benefit structure. You will receive: Licensing, training, and the support of a company rated excellent by A.M. Best with over #1.3 billion in assets. As a Government Benefits Specialist, you must have strong organizational and time management skills as well as exceptional interpersonal communication abilities. Must be able to convey routine and complex information to customers in a clear, concise, and persuasive manner. Requires excellent written and verbal communication skills, must be flexible and have a strong multitask ability. Life insurance license is preferred but not required. Here is something I bet you did not know. Some military personnel who have transitioned out of the military have taken a fast-track training program at Fred Astaire Dance Studios. In just a few months (that’s right MONTHS) they have gone from knowing little-to-nothing about dance to being actual dance instructors. In a VERY short amount of time they moved up to managing, owning a franchise and now to being among the top producing studios in the company. What we have found at Forward March Inc. is that military personnel are especially suited not only for the training and becoming instructors themselves, but becoming highly successful in the company. Forward March Inc. has an outstanding relationship with our customer Fred Astarie Dance Studios. You owe it to yourself to check out our previous post to learn more about the outstanding opportunities for employment and even franchise ownership with them. Its Friday again, so break out those red shirts! R.E.D. 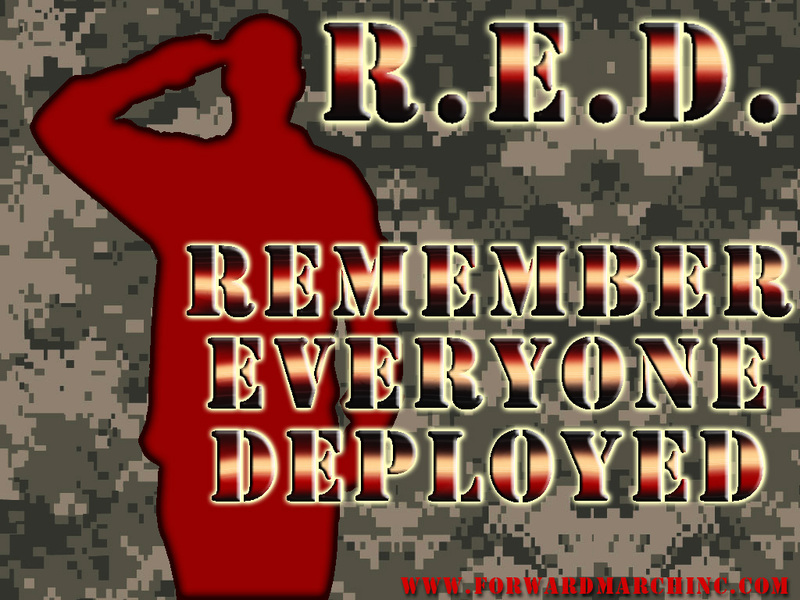 Friday is here so remember everyone deployed! Hope everyone had nothing short of an outstanding week! Its time once again for the FMI Weekly Roundup. We are looking for high-energy individuals who enjoy personal training and working in the fitness industry for positions in our company. This career includes paid travel and a schedule where most of your mornings are free. All of our training and certificates will be paid by the company. You can continue your career into management and ownership with franchise opportunities. These instructor/trainer positions can earn up to $75,000 per year. For veterans who want to learn a new skill, or expand on a skill-set should check out the fine folks over at Workforce Solutions Alamo and Alamo Colleges are collaborating to offer short-term skills development programs in the areas of Information Technology, the Manufacturing Industry and Aerospace. Learn more here. Moving Forward with Forward March Inc.
Yesterday’s Military Hiring 101 Workshop and the Hawaiian Mixer were a success despite the threat of very cold (by San Antonio standards) weather moving in. Those who attended our Military Hiring 101 Workshop left with everything they need to form a solid veteran hiring strategy for their company or organization. Of course after all that training people can work up an appetite so its a good thing we have Chef Richard, our resident chef, to make sure we are all well fed and in good spirits. Forward March Inc. can make your veteran hiring plan a reality by giving you all the information, processes and tools you need to create a robust military talent pipeline for your company or organization. We can bring the Military Hiring 101 workshop to you and customize it for your company needs. We also have a Military Hiring Guide which we customize for our customers to give them an incredibly valuable resource for hiring military talent. Contact Forward March Inc. today to see what we can do for you! Today is the Day! Come Join Us for TWO Great Events! Join Forward March Inc. and local businesses and organizations in an exciting FREE workshop which will help you learn how to find, attract, hire and retain high quality military talent. This powerful training will get you up and running very quickly which will make your job of finding, hiring and retaining top talent so much easier. Nobody trains like Forward March Inc! Get the information and tools you need to succeed in hiring the very best military candidates for your company or organization. Our highly successful solutions are base on the proven military leadership models and systematic approach to organizational growth that Forward March Inc. is known for. Forward March Inc. is a company of veterans committed to help veterans. There is NO COMMITMENT NECESSARY TO PURCHASE/BUY/USE OUR SERVICES WITH THIS TRAINING WORKSHOP. Yes, we would like to have you as a customer, but our commitment is to getting veterans into careers. That is why we are committed to getting this powerful training in as many businesses as we can. Space is limited and these workshops fill up fast so contact Forward March Inc. today! …BUT WAIT, THERE IS MORE! 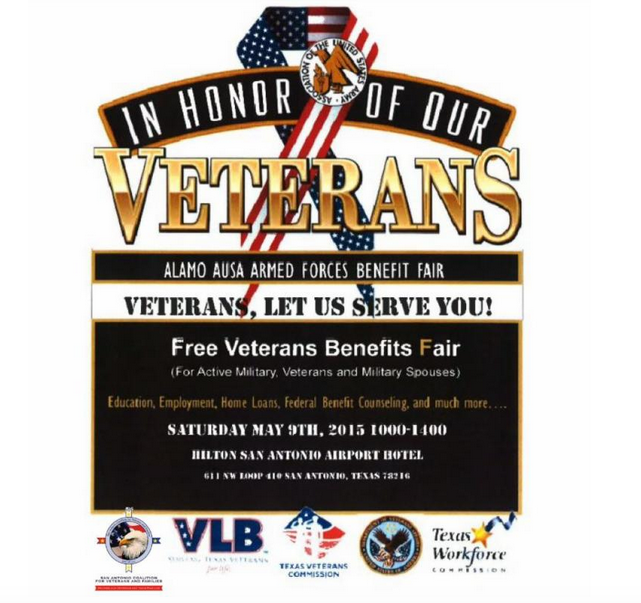 Come and meet other people and companies who have a passion for helping veterans. This is a chance to relax and have some fun while networking with other companies and organizations who share your desire to help our nation’s wounded warriors. Just ask anyone who has come to any Forward March Inc. event, they are always glad they came. Come join us for good food, great networking, and an outstanding time. We will be selling raffle tickets for a door prize. All the money raised will go to ourOperation Outreach Maui Warrior Appreciation Vacation. This vacation gives selected wounded warriors the opportunity to go to Maui for an all expenses paid vacation. You can learn more about this Operation Outreach project HERE and HERE. What Is Military Appreciation Month?